The Longines FEI Jumping World Cup™ North American League will begin its fourth season Sunday August 26, 2018 at 2:00 pm (PT) at Thunderbird Show Park, Langley (CAN). The CSI 4*-W event kick starts a league that has continued to grow in stature, as Madden’s Parisian victory followed up a win for McLain Ward (USA) and HH Azur in Omaha (USA) the previous year. 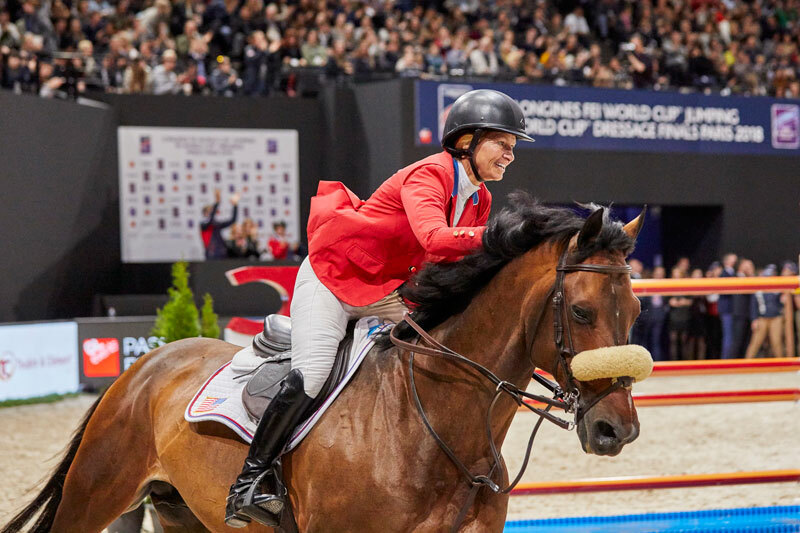 The back-to-back American triumphs in show jumping’s most prestigious individual indoor championship give the North American League a 2/3 strike rate at the World Cup Final since the league’s inception in 2015. The North American League is divided into two sub-leagues, with both the East Coast and West Coast receiving a new location in the 2018-2019 season. Columbus (USA) will serve as the second stop on the east coast on Sunday October 7, 2018, while Leon (MEX) will conclude the west coast sub league on Saturday February 9, 2018. In addition to Madden, who receives automatic qualification as the event’s defending Champion, seven east coast USA riders, three west coast USA riders, two Canadian riders, and two Mexican riders will punch their tickets to the 2019 Longines FEI Jumping World Cup™ Final in Gothenburg (SWE), which begins on April 3, 2019. Riders may earn points in up to seven qualifying events throughout the league season, and their four best results from those classes will count toward their final league standing. “The World Cup Final is the type of competition where you really have to have the right horse at the right time, and all cylinders have to be firing,” said Spooner. Langley is the first west coast sub-league event of the 2018-2019 North American League starting at 2:00 p.m. PT Sunday August 26, 2018. Don’t miss the action on FEI TV. The east coast sub-league gets underway in North Salem, NY (USA) on Sunday September 30, 2018.